One of our last shreds of hope for the country’s salvation was dashed today after it was announced that Louisiana’s Foster Campbell was not only defeated by Republican state Treasurer John Kennedy in the runoff race for the Senate, but utterly annihilated. Kennedy won with 64 percent of the vote, meaning Republicans now lead the Senate 52-48. Kennedy and Campbell are similar, though both scoff at the comparisons. Kennedy called Campbell a liberal “in the pocket of Hillary Clinton.” Campbell said Kennedy “flip-flops on core beliefs” to win supporters. Both candidates embraced many of the doctrines of their respective political parties. 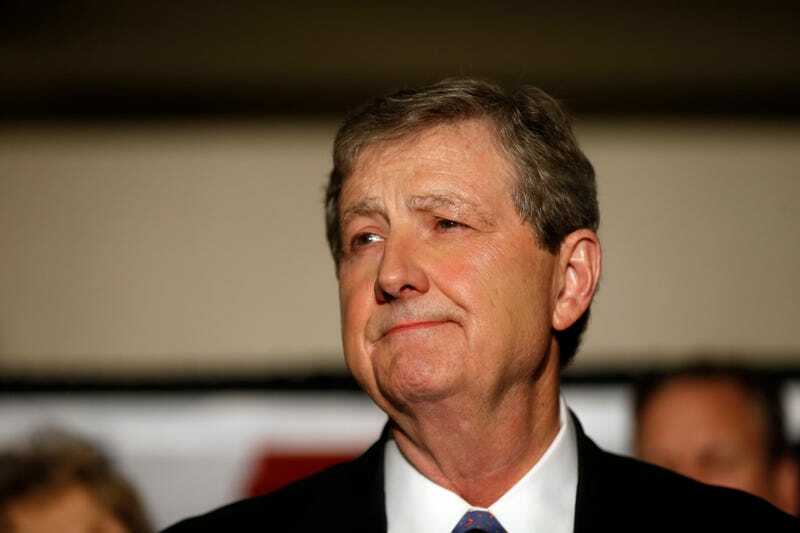 Kennedy opposes the federal health care law, treaties that expand trade with other countries, and appointing anyone to the U.S. Supreme Court whose political views are not in line with the late Justice Antonin Scalia. But Kennedy and Campbell also are longtime policy wonks elected to tediously technical but essential government bureaus. Both are socially conservative, church-going Protestants who like to hunt and lean on homespun phrases to explain complex concepts. While the last-minute surge of support for Campbell—which yielded more than $2.5 million in individual donations—was certainly impressive, it ultimately wasn’t enough to clinch the victory.